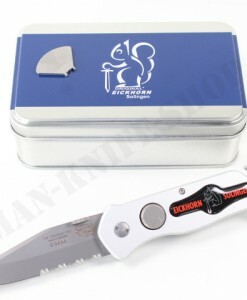 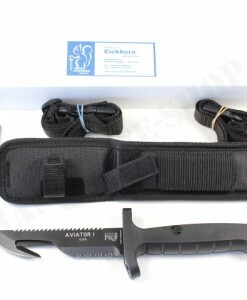 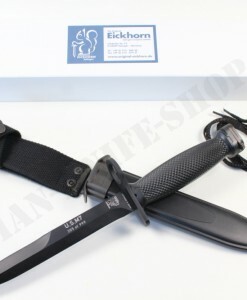 Dear customers, here we offer an original and brand new German Eickhorn SOLINGEN special forces knife made in Germany. 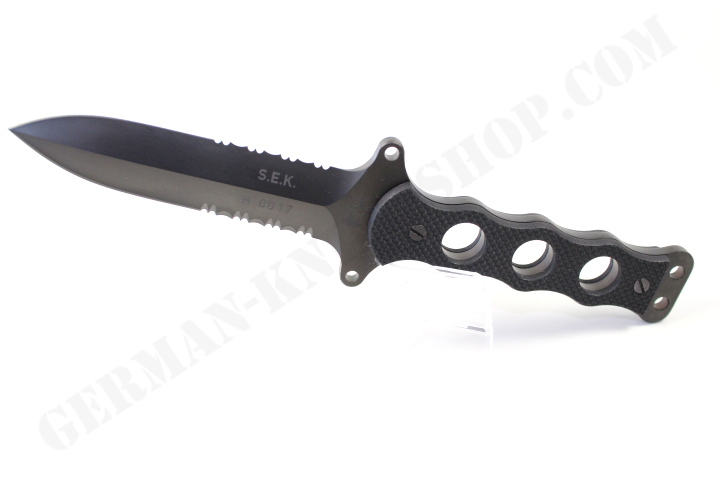 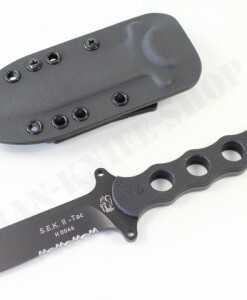 From the world famous German knife manufacture Eickhorn-Solingen, comes this genuine dagger 2008 S.E.K.-M (Marine) knife. 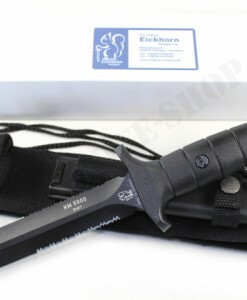 Eickhorn has been manufacturing military, police knives, rescue knives and bayonets for the worlds armies for years. 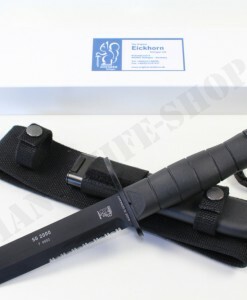 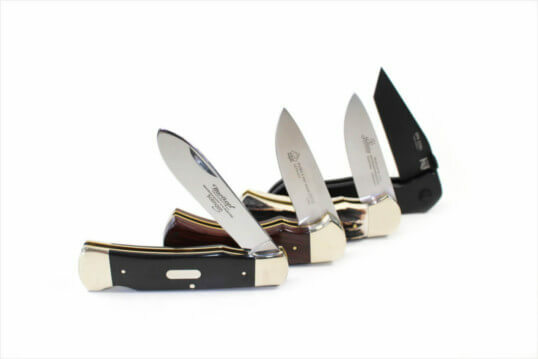 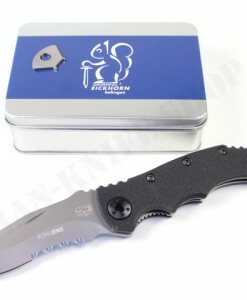 Eickhorn-Solingen tactical knives are of 100% German origin and are internationally recognized as the best in the industry. 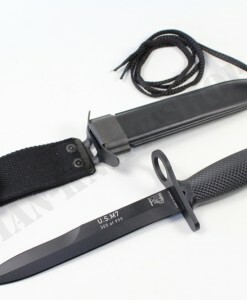 The length overall is: 8 1/2 inch. 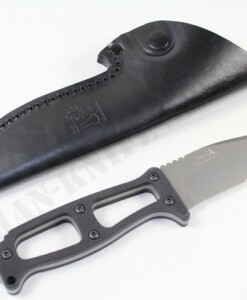 The blade length is: 4 inch. 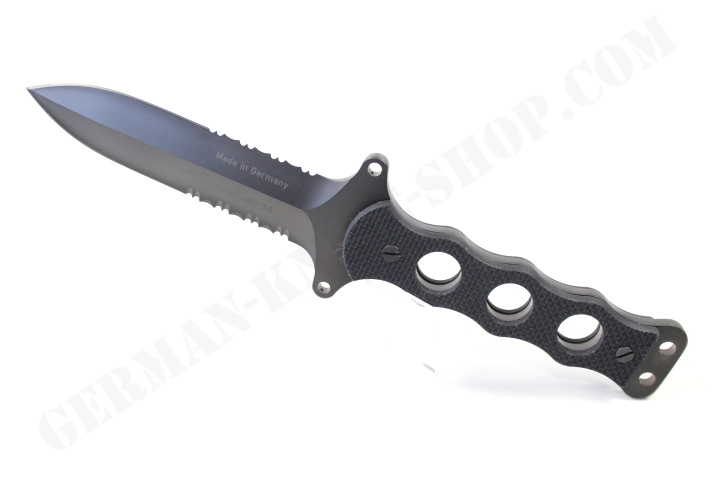 Black multi coated, non-reflective, blade forged from Boehler N695 steel (HRC 57). 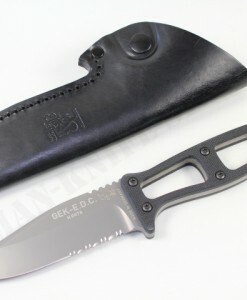 Double edged & half serrated dagger blade. 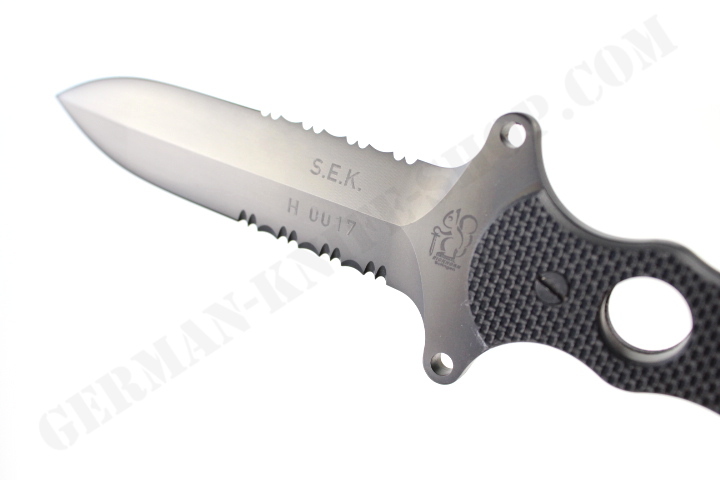 This is just one fantastic double-edged dagger. 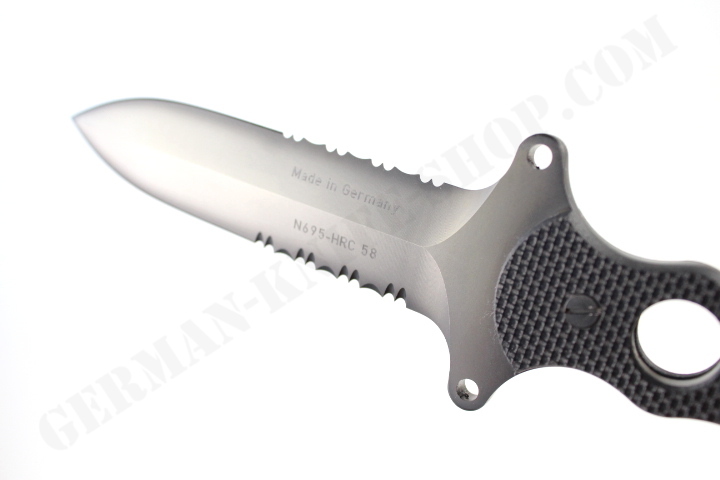 Made in Germany with the finest materials. 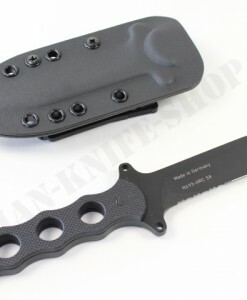 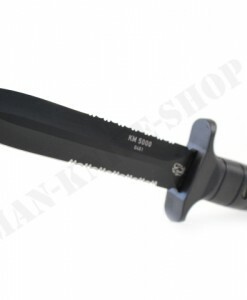 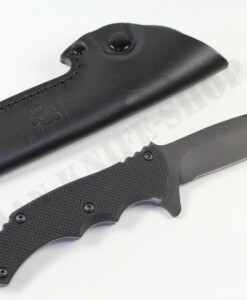 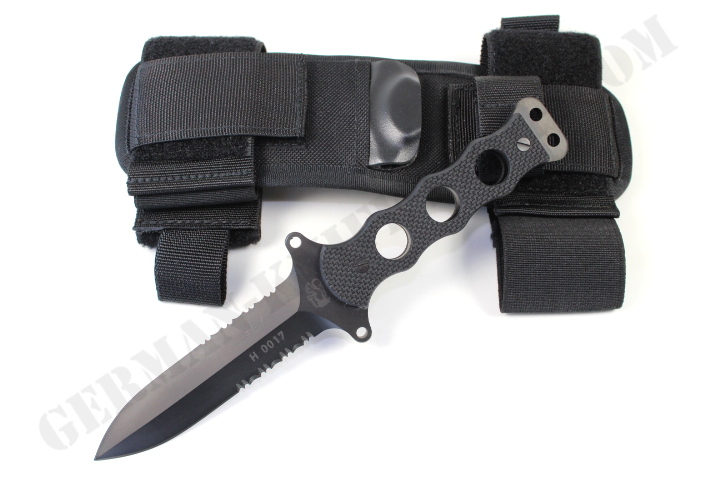 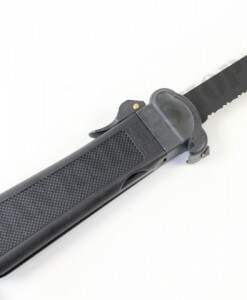 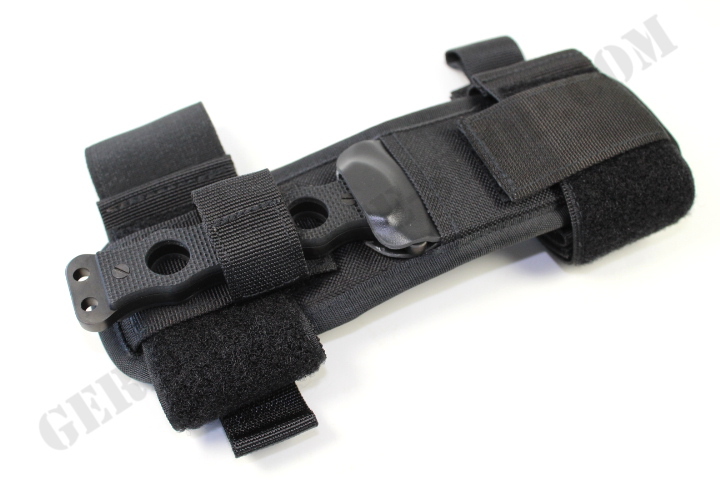 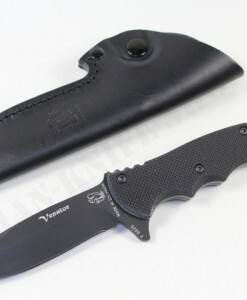 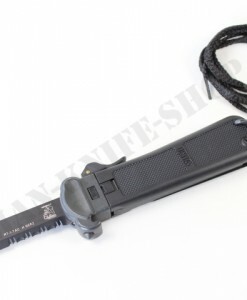 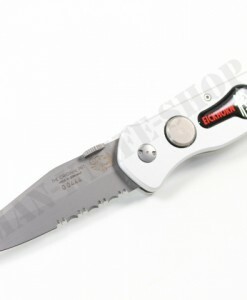 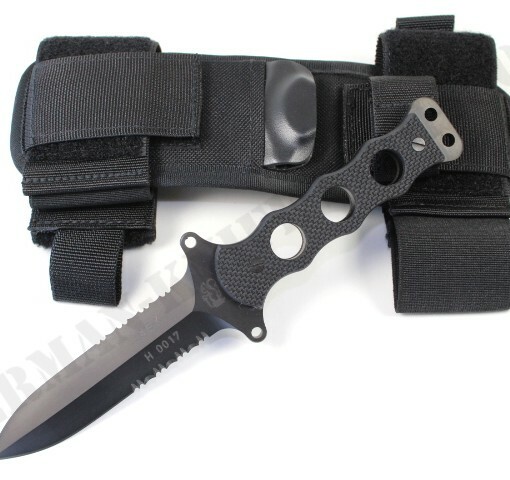 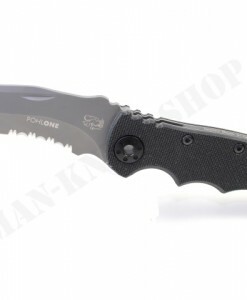 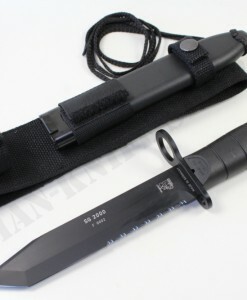 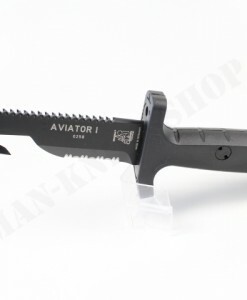 This knife is especially suited for Military and Law Enforcement.